California lawmakers have put off their decision on how to spend over $2 billion in cap-and-trade revenues, leaving it unclear what climate change investments in agriculture we will see in the coming fiscal year. We were hoping to see the budget package, which the Governor and Legislative leaders reached agreement on today, allocate funds for farmland conservation and climate-friendly management practices consistent with Senator Lois Wolk’s SB 367: The Agriculture Climate Benefits Act. 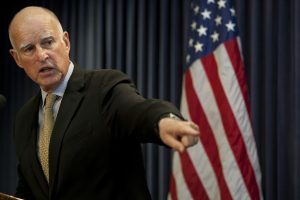 Instead, it could be months before the cap-and-trade budget package sees Governor Brown’s signature – potentially as late as September. This year’s cap-and-trade revenues, which the state collects from polluters under the climate change law AB 32, are vastly higher than ever before. In February, the Legislative Analyst’s Office estimated that the Greenhouse Gas Reduction Fund (GGRF) could take in as much as $4.9 billion in FY 2015-16. The Governor initially proposed to spend $1 billion of that money, then later doubled that amount to $2 billion; the Assembly and the Senate have proposed spending even more, increasing the Governor’s proposal by about $175 million and $700 million, respectively. Lawmakers want more time to reconcile the three competing spending plans. Regardless of the amount, all cap-and-trade dollars must be spent on projects that reduce greenhouse gas emissions. CalCAN and our partners have long made the case that a portion of those funds should go towards agricultural climate solutions. As we have discussed before, 2015 is poised to be a breakthrough year for climate and agriculture issues. The Governor has proposed $20 million for a new Healthy Soils Initiative and $40 million for agricultural water-energy efficiency. The amount of money going to the Sustainable Agricultural Lands Conservation (SALC) program will undoubtedly increase, although by how much is yet to be seen. The larger program within which SALC is contained, handled under the auspices of the Strategic Growth Council (SGC), will see its allocation grow significantly this year, likely to about $400 million. Last year, farmland conservation efforts received just $5 million, or 3.8%, of the SGC’s $130 million allocation. Given the considerable promise of the SALC program to reduce greenhouse gas emissions, such a small percentage again this year is simply not enough, especially as the state continues to lose farmland at alarming rates. That’s why CalCAN and our partners are asking for 10% of this year’s SGC allocation to fund the SALC program. Rather than the Legislature making that decision to increase SALC’s percentage, it now looks possible that the SGC board members will decide how the money is spent at one of their meetings later this year. Meanwhile, the agricultural climate investments in last year’s budget are just beginning to bear fruit. The State Water Enhancement and Efficiency Program (SWEEP), which received $10 million in cap-and-trade funds last year, is already moving full steam ahead. The Department of Food and Agriculture recently announced 154 SWEEP awards for projects that simultaneously reduce water use and greenhouse gas emissions. Awardees received grants to help them purchase soil moisture monitoring equipment, switch out diesel irrigation pumps for solar, convert to drip systems, and install more efficient pumps. Another $10 million granting round is open from now until June 29th. Growers are encouraged to apply. Awards from the first round of the farmland conservation program will be announced by the Strategic Growth Council on June 30th in Sacramento. These awards will support planning grants and farmland conservation easements that reduce greenhouse gas emissions and protect prime farmland. We encourage you to show up and voice your support for the program on the 30th. It is important for SGC members to hear from stakeholders who care about farmland protection, and your attendance at SGC meetings made an impact during this process last year. The SGC will also be holding workshops on July 14th (in Sacramento) and July 20th (in Los Angeles) on “Lessons Learned” from last year’s Greenhouse Gas Reduction Fund process. These meetings will also be broadcast online.